He had seemingly started the fight in perfect fashion, setting the pace with jabs and then, with increased confidence, some hooks. He was pawing at Makabu, lining him up and landing to head and body. Did he get complacent? Evidently so. Makabu had thrown nothing but in a flash unleashed a huge left straight down the middle, hitting Bellew flush and leaving him on his backside with a mangled nose. He got to his feet immediately and the bell went but what a crushing start. His trainer Dave Coldwell told him to calm down and clearly he listened. 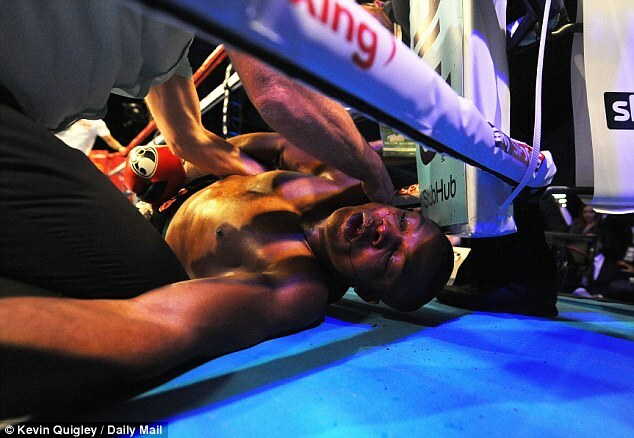 The second, as a result, was far less dramatic, with Bellew bloodying Makabu's nose but taking a far more cautious approach and just about shading the session. On to the brilliant third. Bellew set the pace and again got his opponent to the ropes. Again he unloaded, despite the risk that what happened in the first might happen again. But it didn't. He threw three big rights in a furious burst and then, finally, landed the punch that made him a world champion. A huge left he will never forget. Makabu took a concerning amount of time to come through, but he recovered, a big hitter with 18 knockouts in 19 fights who had just lost a furious shootout. 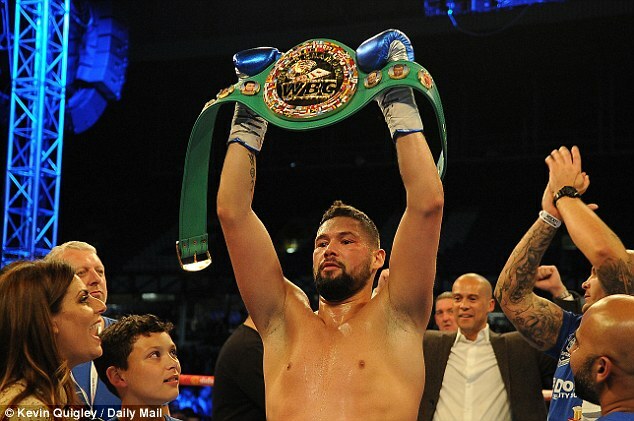 Bellew, who lost title tilts to Nathan Cleverly and Adonis Stevenson, was dancing a jig in among the madness. Six months on from his big film moment, he followed an even better script. 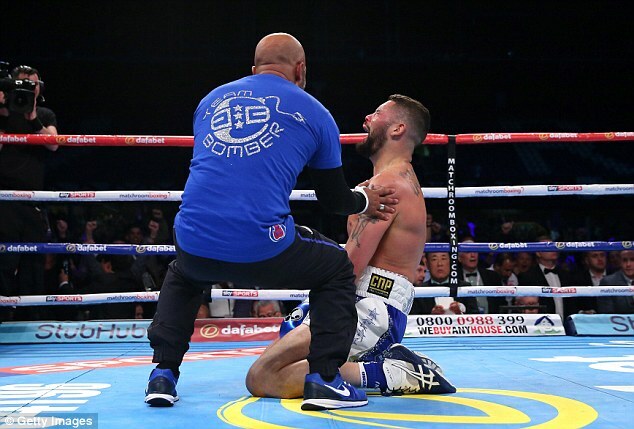 Speaking to Sky Sports after the fight, Bellew said: 'I am Everton. That's why I got up. Nothing was going to stop me tonight. I can't put it into words. 'My son's never been to a fight. I cried in the dressing room because he broke my heart when I looked at his little face - he looks like his mother. 'The last time I saw that, I was in a Hollywood movie and now it's real. 'I lived a dream tonight. I'm the best cruiserweight in the world. Denis Lebedev - I'm not coming to Russia. Come and get this because I've got the main belt now. Or that b**** from Bermondsey (David Haye). Come back down to your natural weight and fight me.